Sinha, the lawmaker from Patna Sahib constituency in Bihar, was not given a ticket by the party for the Lok Sabha elections 2019. 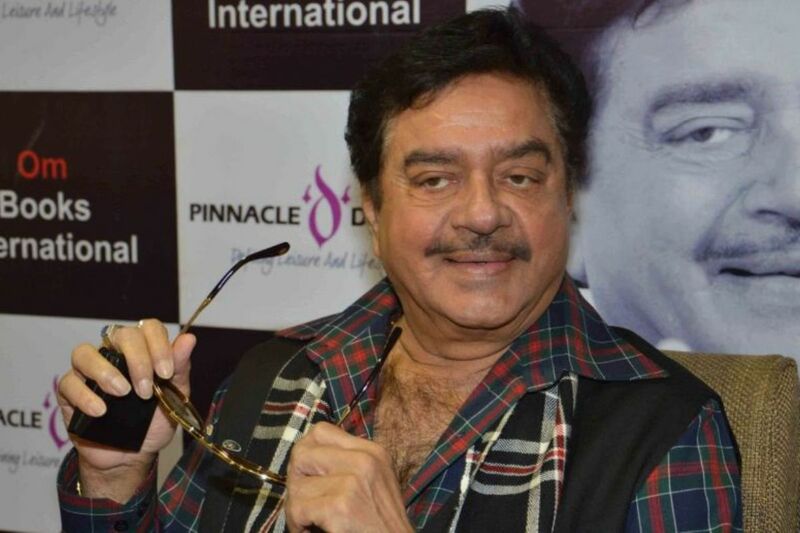 It is now official; Shatrughan Sinha, the rebel Bharatiya Janata Party (BJP) MP, will join the Congress on Thursday, 28 March. Sinha, the sitting lawmaker from Patna Sahib constituency in Bihar, was not given a ticket by the party for the Lok Sabha elections 2019. BJP has fielded Union Law Minister Ravi Shankar Prasad from the seat. According to reports, the Congress will field Sinha from the same constituency. It was earlier speculated that the actor-turned-politician, who is also called Shotgun because of his sharp comments, may join the Rashtriya Janata Dal (RJD). But his departure from the BJP camp did not come as a surprise to anyone. Interestingly, Sinha has neither prefixed the ‘Chowkidar’ tag to his Twitter name like other BJP leaders nor has replaced the header image, which has the BJP symbol alongside his photo. The 72-year-old Sinha, who has been a vocal critic of Prime Minister Narendra Modi since 2014, had earlier today called Congress president Rahul Gandhi’s NYAY scheme for the poor a “masterstroke”. Taking potshots at his party, he said the announcement has left BJP leaders “rattled that some prominent people had to rush for a press conference, calling the whole declaration a ‘deceit’”. He further questioned if it was fair for the ruling government to announce various “jumlaas like the Rs 15 Lakh promise to every individual, farm loan waivers and subsidies and over 2 crore jobs for the youth every year”. Sinha has made it clear that he will contest the upcoming elections whether or not he is fielded by his party. On 15 March – a day before BJP’s central election committee meeting – Sinha posted a tweet where he hinted that he might no longer be part of the party. “Sir, the Nation respects you, but the only thing the leadership lacks is credibility & trust factor. “Leadership jo kar rahi hai or jo kah rahi hai, kya log uspe vishwas kar rahein hain? Shayad nahin!” Any way it all seems to be too little and too late? Promises made in the past are still to be fulfilled,” he wrote apparently taking a swipe at the PM. “Hope, wish & pray, though I may not be with you anymore – “Mohabbat karne vaale kam na honge, (shayad) teri mehfil mein lekin hum na honge”,” he added. He has also attended anti-BJP rallies called by various opposition parties including West Bengal Chief Minister Mamata Banerjee and Delhi Chief Minister Arvind Kejriwal. BJP had bagged 22 of the 40 Lok Sabha seats in Bihar in the 2014 elections. Bihar will see polling in seven phases on all the dates between 11 April and 19 May. The counting will happen on 23 May and the results will be announced on the same day.